Leave me a comment below and tell me the reason. Checkout the trailer. 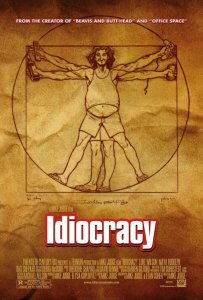 The movie is called Idiocracy. With the bases loaded you struck us out with that awsenr!